How to generate monthly/quarterly VAT reports in JuanTax? Value-Added Tax is a form of sales tax which are imposed on sales or exchange of goods and services in the Philippines. Serving as a form of indirect tax, VAT are passed on to the buyer which consume the product/service. This kind of tax form can be settled monthly (2550M) and quarterly (2550Q). 1. In your dashboard, go to Value Added Tax then proceed to 2550M/Q. After that, click the Generate Report (plus icon). 2. 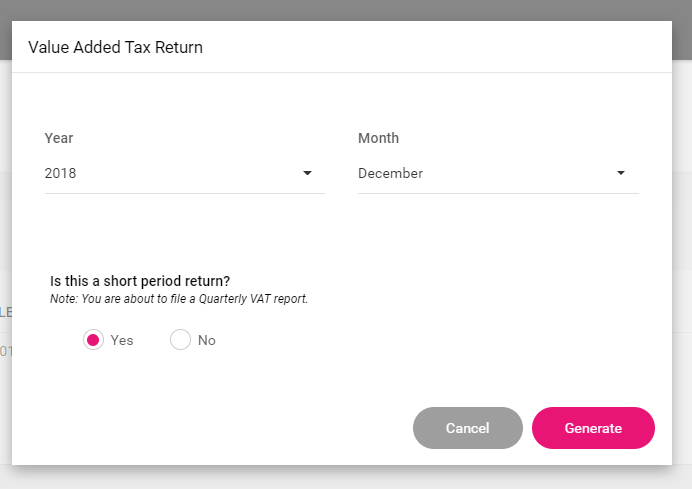 Select for the Month and Year of your report then hit Generate. 3. After generating the report, you would automatically be prompted to the Summary tab. Start adding transactions by going to SLSP Data tab. Once finished, you can now start to proceed with the other steps in filing your return. Visit this Help Center article to see the complete steps in processing your tax return using JuanTax.